It's already mid March and I really can't believe it. I'd set myself the challenge this year to get fit, tone up and do a better job of maintaining a healthier diet and as you can probably guess - it hasn't gone so well (put your hand up if you're in the same boat as me 🖐🏻). So when F45 Training Newmarket got in touch about setting up a 8 week training regime it was a sign, a gift even, that it was time to get serious about getting fit and being a healthier me. I was fizzing to get started and enlisted my good mate Samuel to join in on this journey to dropping some unwanted kegs, getting in shape and having a hoot of a time while doing it all. 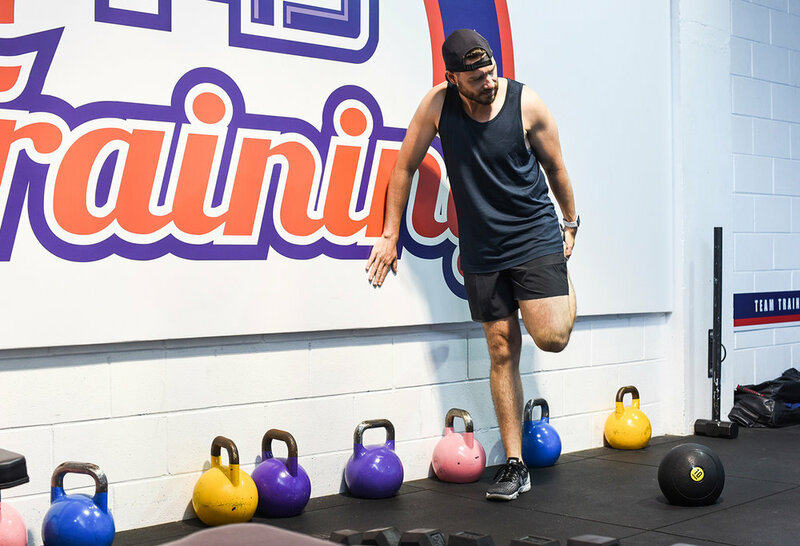 Getting started on the F45 training program was a breeze as it's all managed through the F45 Training app where you can sign up, purchase your membership, see the list of classes and book one in. I locked in my first session - the lunch time Tuesday class in Newmarket. Before my first class I met up with one of the trainers on the roster, Rhys to complete a weigh in and body fat count. It was important for me to get this done to capture a baseline so I'd know where I began and can track my progress. I knew it was going to be a bit of a reality check, but more importantly, it would be the motivator to work hard to get myself in better condition. The results: my weight came in at 77.28kgs and my body fat 20.2%. I have work to do. I had a goal in mind to drop 5% body fat, not exactly sure how long it's going to take but that's what I'm working towards. We'll check in on my weight and body fat count in week 4 and then at the end of my program at week 8. You never really know what you're in for when it's your first time. Well I can tell you this, it was sweaty, hard, and exhausting stuff. Every session is set up as a circuit, complete with a number of workstations that you rotate around via a numbered system on the ground. With the help of a few screens they demo's the exercise at your station and what's coming up next. This little handy animation onscreen also allows the trainer to spend more time engaging with everyone to make sure you're doing the movements correctly, yell some encouraging comments and push you to go harder. When the 45 minutes is up your body is shaking like you've been dunked in a bucket of ice. Every inch has been put through its paces and it's screaming at you wondering why you'd do such a thing...but the mind celebrates. Yes your muscles are sore, but your brain is invigorated and you come away feeling slightly larger than life. It's a hard one to explain but it's almost like the exercise rewards you with a dose of extra confidence. Knowing you've done some good for your body, you get a bit more swagger in your stride. And I liked it. 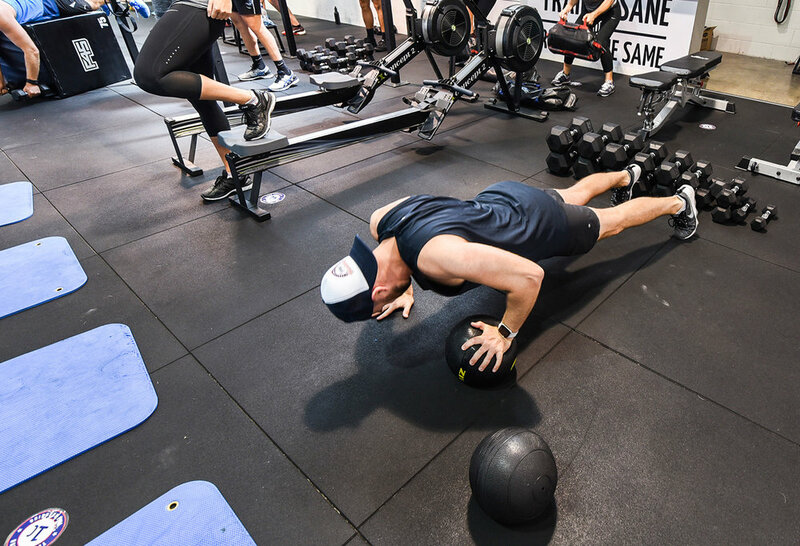 Unlike typical gyms, F45 doesn't require you to sign-up to unruly contracts which lock you in and leave you feeling trapped into the gym life. F45 knocks that on the head with a flexible program to suit your lifestyle. You can select from a variety of options like pay-as-you-go, weekly passes, to monthly or 3-monthly. It makes so much sense being able to adapt your fitness plan on the fly as we all know life is busy and things change all the time. I'm two weeks down, with four sessions smashed out in the second week alone and my body hates me - but boy does it feel really good! With only a handful of classes under my belt, I can honestly say I'm really enjoying it and can't wait to see some tangible results from all the sweat loss. Now of course it's not just about the physical training either, you've gotta do some hard yards on the diet front too and I'll post more on that in part 2 of this series coming up shortly. F45 is a challenging, fun and rewarding way to train towards your goal, whatever that might be. 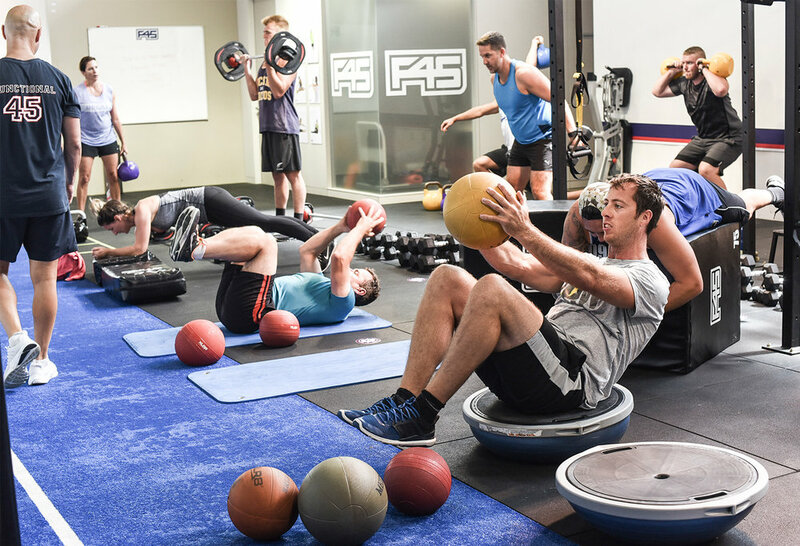 There are people from all walks of life and fitness abilities that turn up to F45 and it's this team environment that makes you feel part of a family and it's a huge part of why I keep coming back. 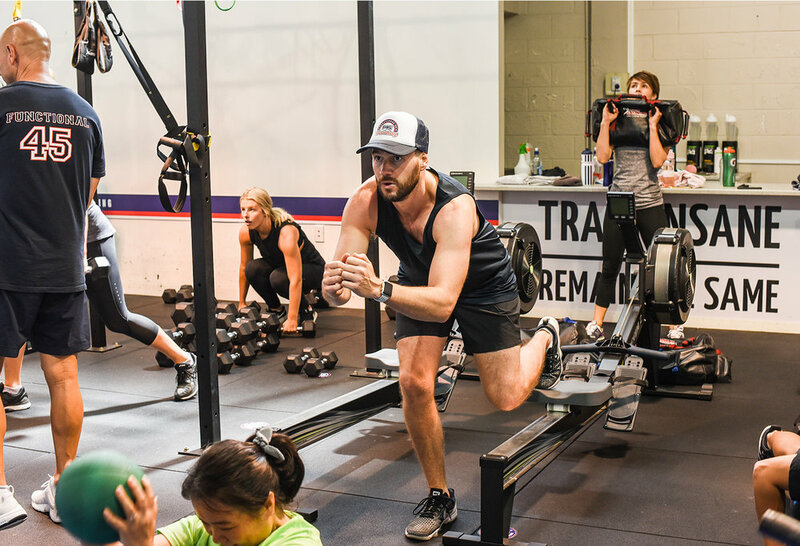 If you're keen to jump onboard and give F45 Training Newmarket a try then hit up F45 Newmarket online and sign up for their free 7-day trial and see - no scrap that - feel the results for yourself. We can even high-five after your first session (you'll understand this when you come, it's how we end every session with a bit of a celebration!). Jaheb wearing // Lululemon Metal Vent Tech Tank 2.0, Lululemon Surge Short 7" & Lululemon Race to Place cap. Big thanks to Whey House for the organic protein powder to help me build some guns - use code jahebbarnett to get 10% off your next order.